Games Workshop Warhammer, Dungeons and Dragons, Mage Knight, Necromancer. 8 warrior pieces. All are metal and painted. There are 8 pieces. 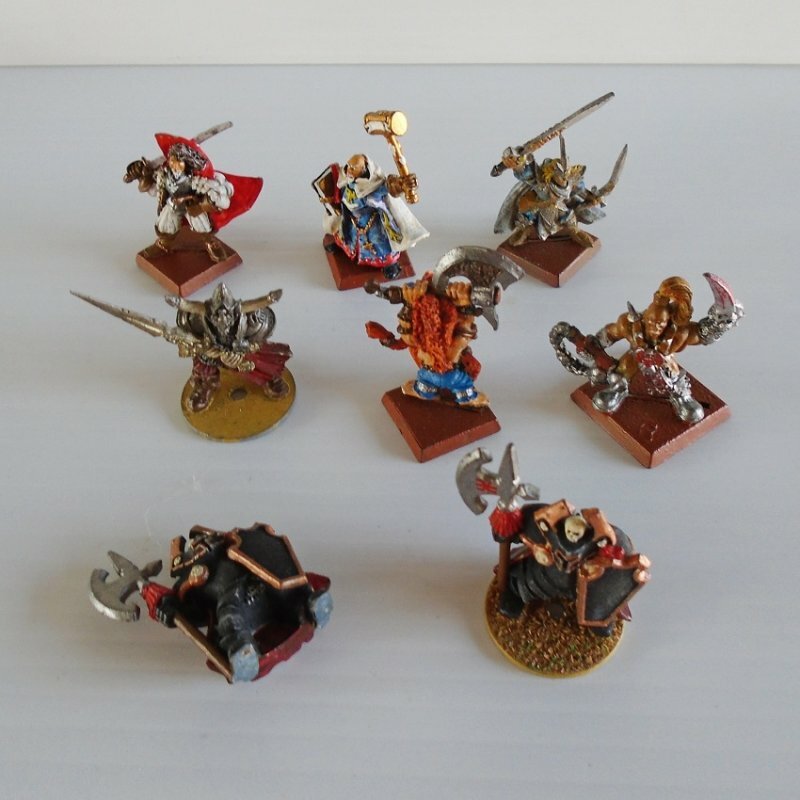 All are solid metal and painted. I'm guessing at what they are called and may be way off, but I'd call them warriors of some type. All but one are on bases. All have weapons of some type and look like they are in the middle of a battle.